We all aspire to become rich and affluent in this world, driving exotic cars and making tourism around the world - a major conviction and landmark of success in life. Perhaps, that conviction has inflicted in us ; the belief that without luxury things, one is none, other than a miserable human being. In a society we are today, everyone wants to be rich without engaging in any sweat-source-sweet-job. "No paean without pain", also, as claims by a saying ; "whatever we didn't suffer for, can only sustain us not for long". 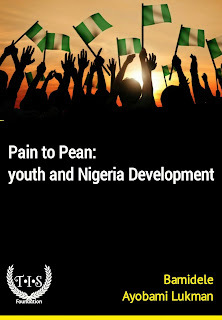 In Nigeria today, we are facing a lot of problems especially among the Nigerian youths, like frustration and other acts of selfish indulgence that are affecting our country ; making development for us ; a static in meaning. And if these problems need be solved, then, a suitable plan is empowering the youth in government and society should lay more emphasis on youth developments. 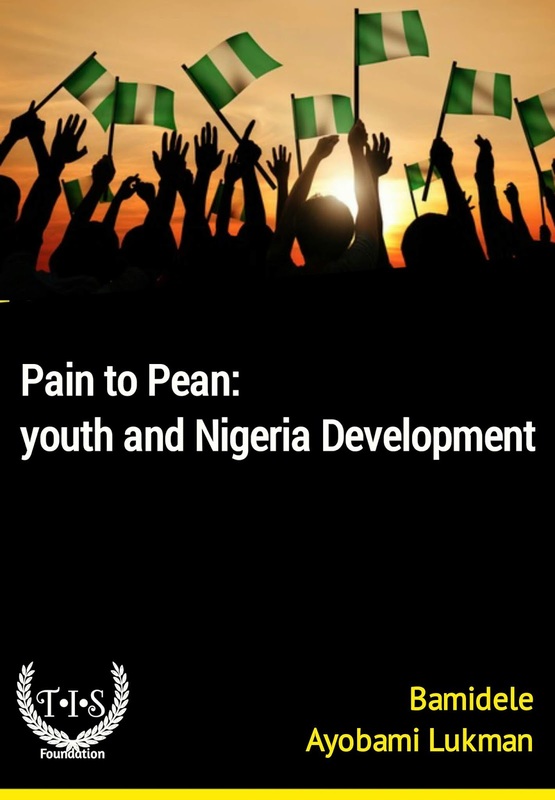 Should a society desires to achieve a certain growth rate ; then certain intellectual training for the youths must be put in place, which would no doubt,empower their productivity and a move towards enigmatic recognition. Is it still a truth that ''an idle hand is a devil's workshop"? If yes! Government investing on education as a sector and empowering more youth by making life after school a worthy of living through lucrative job opportunities and providing a leveled playing ground with incentives ; on which any skills acquired or talent would be practiced. Then,such a country will have peace and tranquility reigned in its entirety. Every youth of nowadays does not want to face any challenge, all they want is money. Knowing not that to make it in this life, one has to go through a lot of steps and step after steps, coupled with pain . Therefore, there is no good result without a good plan. For something to be good, then a master plan must precede . To you, life isn't that good. But have you ever thought? That for life to be the way you want it ; there must be a price to pay. For every good thing that in some scenarios, when money must be made become the only laudable song of the youth, without work. No qulam, desperation and even fratricidal would become the order of the day, just as it is experienced in present day Nigeria. It baffles me a lot ; the kind of life the next generation of this country would live. Just as a voice asked a K-legged man of how faulty the tilt on his head, his response was ; "the fault is from the leg". Therefore, if adequate measure is not taking, there would be a situation worse than ours, in generation to come. Good people influence nothing, but good plans, its pursuit and to meaningful landmark. Just as it is, turning to other side of the coin ; if not who and who Nigeria is surrounded with, no qualm ; greatness would have been ours yearlong ago. In a long run, let me remind you to remember that, the future only belongs only to those who really want to help themselves, so hardworking and competence can speak for them.Less I forgot, there is a price for every negative action and as it remains, " No struggle "; "No success" and no omelette can be make without breaking of egg.